I tested my internet ping rate and it is only 9ms....but when I test it in DS with alt + p it is 78ms to 90ms with the DS servers. Can I get some advice on how to fix this issue please? Thats under 100ms, so it's less than 100/1000ms or commonly referred to as 1 second. 1000ms = 1 Second RTT (Round Trip Time) IE, from your computer to Darkspace servers and back. Anything under 100ms is considered perfectly acceptable for real time gaming. 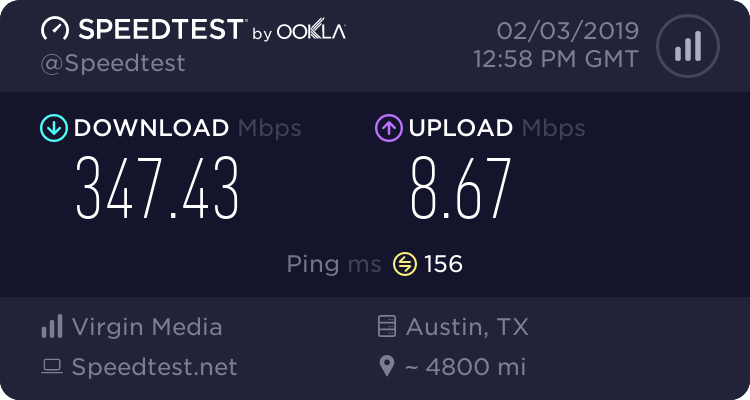 Yes a lower ping is always ideal; but the only way to get a better ping would be for your ISP to optimize their routeing to DarkSpace's servers and or a expencive peering agreement with your specific ISP. Darkspace's movement if I remember correctly uses UDP instead of TCP, so if you have packet loss it will dramatically affect your gaming experience. 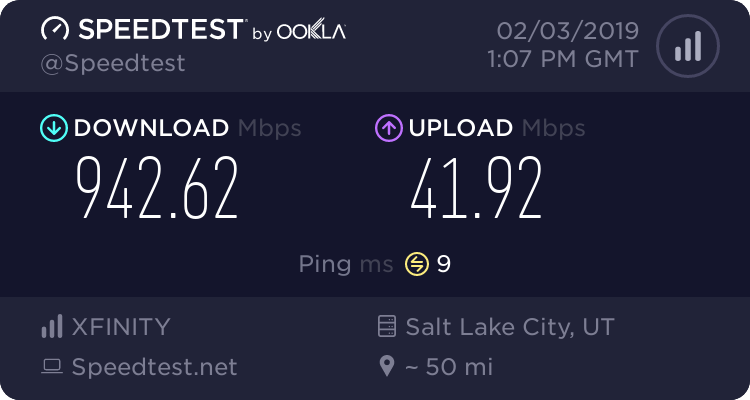 I would do a line quality test on your connection to make sure your connection is not having packet loss... NO PACKET LOSS IS EVER ACCEPTABLE! Check your connection for Packet Loss: https://www.dslreports.com/pingtest? It's honestly out of your hands. If I were you I wouldn't worry about that level of ping until it goes 100ms and beyond or you have ANY packet loss. Then at that point yes, scream at your ISP and tell them to fix their network and or you need to fix your WiFi Router & check your equipment for proper operations (Preferably Before You Scream At Your ISP...). DarkSpace's servers are located in Austin, Texas. If you have bad routing to our datacentre then you're going to get sub-par ping. 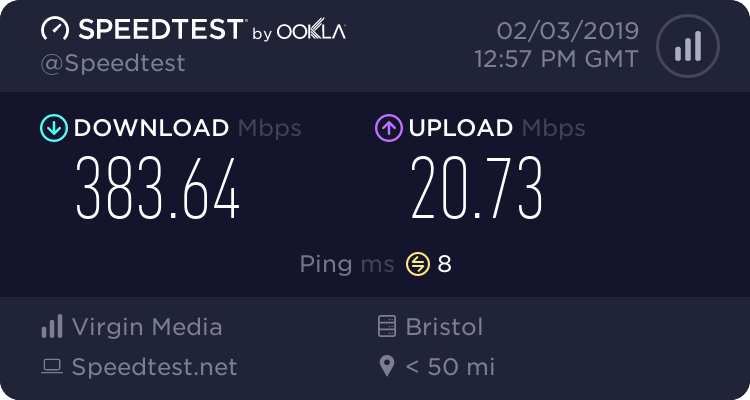 Having said this, I connect from the UK regularly and I get 160ms ping, which is substantially better than most central Northern America locations. Typically anything under 100 ms for a non-twitch based game is considered acceptable, of which DarkSpace is not. Unfortunately, the only way this can be 'fixed' for you would be to move the servers to your doorstep in Canada, which is not going to occur. Realistically, there's nothing you or we can do to fix this - we're constrained by todays understanding of physics and sending data down a tube. If you could fix this, you'd be the most popular person on the planet and bring about a monumental shift in network technology. 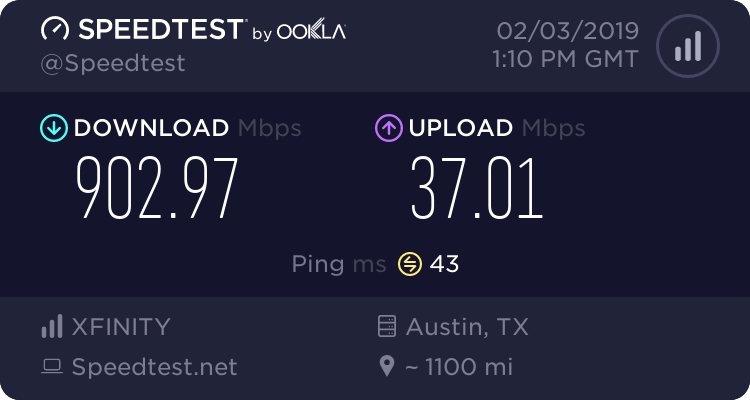 I checked my ping in Austin Texas and it is 50ms, I am hoping that is ok. It seems okay in gameplay on DS. Powered by phpBB� Forum Software � phpBB Group Page created in 0.021327 seconds.